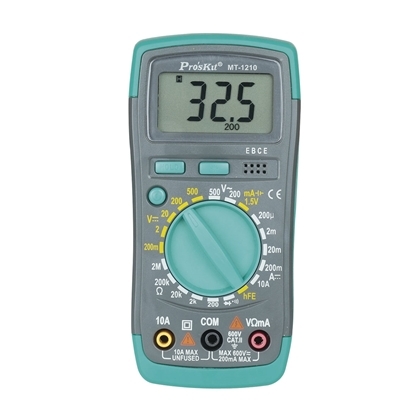 Learn how to use a multimeter and make detailed measurements using a digital and analog multimeter - even if you never touched one before! 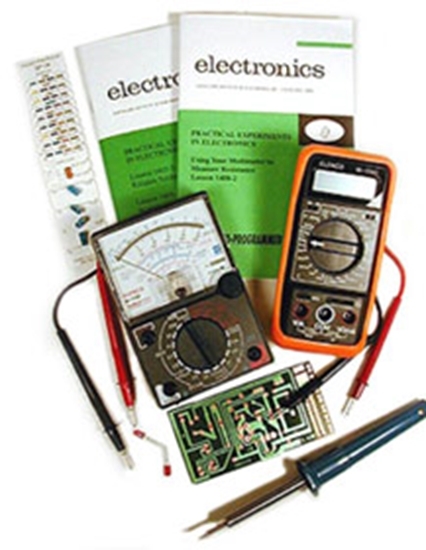 CIE Bookstore's self-paced multimeter training course comes with two multimeters, instructor support, online exams and a professional certificate of completion suitable for framing. 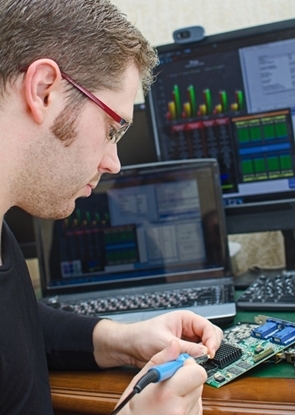 An electronics professional uses test instruments on a daily basis to troubleshoot and maintain various electronics equipment. None may be as important as knowing how to use a multimeter. 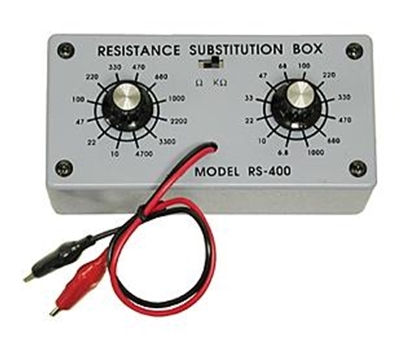 The lesson material comes straight out of Cleveland Institute of Electronics' Electronics Associate Degree program and teaches someone with no previous knowledge of multimeters the proper techniques of measuring resistance, voltage and current. This course comes equipped with both a powerful DIGITAL and ANALOG multimeter to use in the field for years to come. CIE instructor assistance is included with this program along with a Certificate of Completion from CIE Bookstore. SPECIAL BONUS - EXTRA LAB! 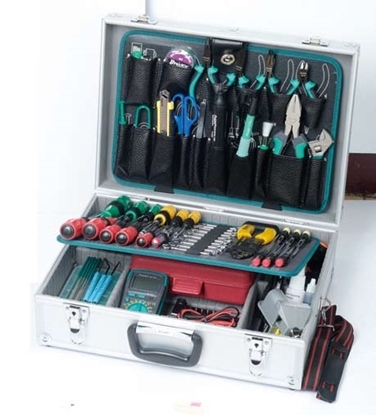 This course also includes an extra lab with 3 graded lessons on proper soldering techniques. Start with the basics and them move onto more advanced techniques. Learn how to inspect and repair solder joints using the included soldering iron with our easy to follow self-paced lessons. Today’s electrical, electronics and computer technicians continue to revolutionize the way we live. We depend on the hundreds of thousands of these individuals who design, produce operate and maintain a vast array of equipment and services. Radio, television, telephones, computers, airplanes, automobiles, office machinery and home appliances are a few of the industries in which electronics play an important role. In our age of satellites and computer networks the challenges and opportunities continue to mushroom. Today’s electronic careers continue to have enormous potential. The implementation of ideas through new products, systems and services is the essence of engineering. 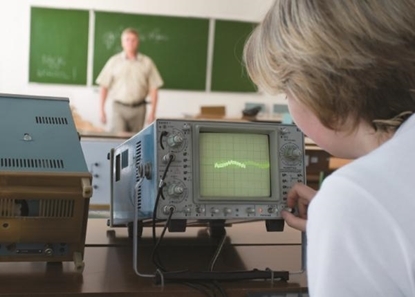 The rapid changes in electrical, electronics and computer technology and the diversity of applications require a broad educational background and a lifelong commitment to learning new and specialized information. This course includes all the benefits of being a CIE student - Certificate of Completion from CIE upon completion, FREE Instructor Tutorial Assistance, and Superior Student Privileges so you never have to study alone! You’ll received complete lesson and tuition credit if you ever decide to transfer over to many CIE programs! Your exam scores will be stored in CIE's data base will be ready for you when you need them! 2. Call us at (800) 321-2155 and ask for course 02-069. 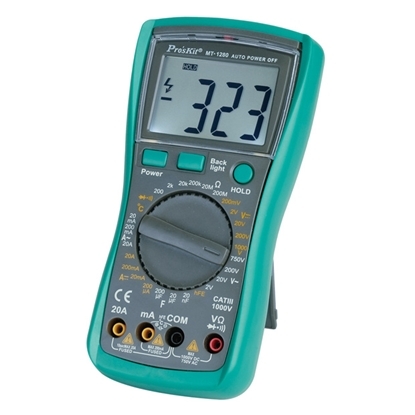 Learn how to use a multimeter with this affordable hands-on course!